Well, another year is upon us. I’d like to wish you and your family a HAPPY NEW YEAR! I literally felt like the year 2011 went so quickly for us. It’s time to reflect on the year we’ve left behind while we ring-in-the-new. When I look back, thinking of the passing year, it helps me to realize what has been accomplished, what has been learned, who has helped us, and how we can do better this year. I’m really grateful and relieved that everyone in the family is in good health this year. Minor illnesses like cough, flu and fever are also very minimal. With only one exception for me who underwent an endoscopic sinus surgery three weeks ago. I’m also glad to announce that I’m recovering well from the surgery. Little Edison is learning and growing by leaps and bounds. He is happy to go to school and he becomes more independent, self-reliant and socially-adaptable in an expanding social circle of friends and peers at school. Recently, he told me that he wants to become a doctor when he grows up so that he can help sick people. I was really happy to hear that. 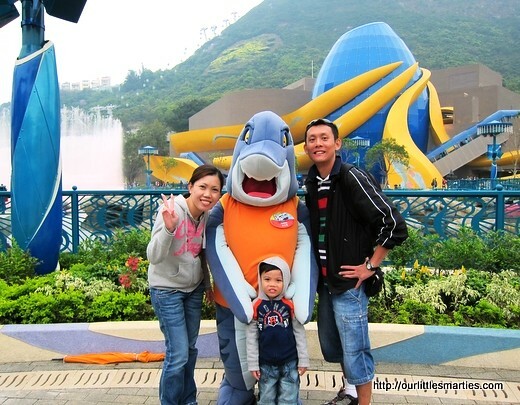 In April this year, we went for vacation in Hong Kong. It was one of the best vacations that we’ve had. Our boy had so much fun at the Disneyland. Hopefully, in the years to come, we can visit this place again. 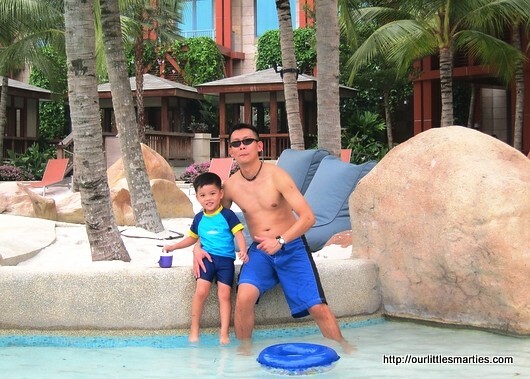 On his birthday month, we went for a staycation at Resorts World Sentosa Festive Hotel. Amazing room, view, facilities and hospitality. 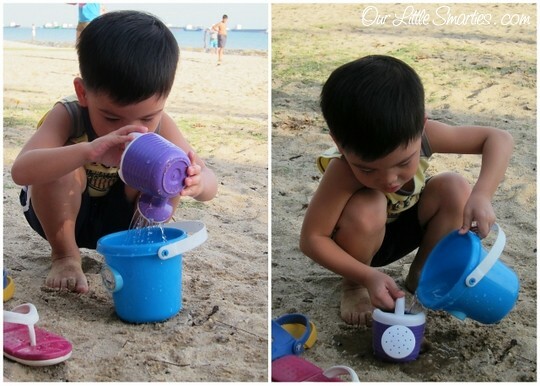 Our boy was contented to just stay in the hotel room, but of course, we did venture out to Sentosa and Universal Studios during our stay. Work has been very challenging for me, but I’m grateful for the opportunities that have been given to me. I was promoted to a managerial promotion this year, and the future is looking bright. It was one of the most significant career advancements in my life. And I’m excited to see what Year 2012 will bring for me. Our foreign helper left us in April this year and we decided not to hire a replacement. We’ve persevered during this tough period; we worked a little harder and a little longer. And we managed to adjust our lifestyle and routine without a helper. Now, we’re happier to regain our much-treasured privacy and freedom. No more maid woes. No more arguments about the maid. Hi Emily, reading about your 2011 experience inspire me to write about my own as well. Sometimes it is good to reflect, ya, some things go right, some things go wrong, but all in all we have a lot to be grateful for.